Here's a big dirty secret: I like Paladins. I know I rant on about shooters plenty, but there’s plenty about them that I can find enjoyable. When the action doesn’t take itself too seriously, and there’s a good mix of interesting characters and fun levels, I can end up spending a lot of time in them. And Paladins, I think, is a good one. Paladins doesn’t hide from its Overwatch inspiration. 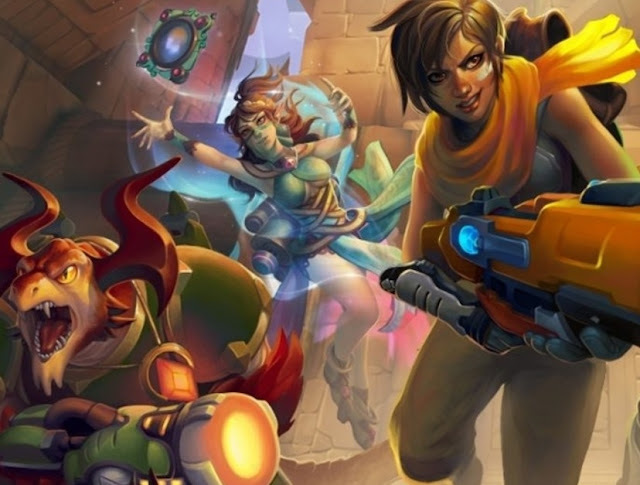 It’s not surprising that a developer would want to capitalise on to the mammoth success of Overwatch, but Paladins perhaps goes a bit too far in not offering anything to substantially set it apart. Just like Overwatch, there is a wide mix of characters who are… eclectic, to say the least. But where people develop an absolute passion for their favourite Overwatch characters (D.Va…), Paladin’s mob don’t quite have the same gravitas. You’ll have your favourite character, certainly, but that will be exclusively on the basis of the skills and the ones that you find most comfortable to play with, rather than their characterisation… or even their name. My favourite character is a healer who creates mirage versions of herself, which she can then turn into a bomb. I’ve played a whole bunch of matches with her, but I genuinely can’t even remember her name. Part of the reason is that the game does have that “cheap Overwatch” look to it, so while the characters are functional, and you’ll enjoy them enough because they all play well enough, you also won’t be invested in them. On the flip side, however, the lack of attachment you’ll have to a character means that you’ll be more open to using them all. With dozens of characters to choose between, Paladins isn’t lacking for raw content or variety. 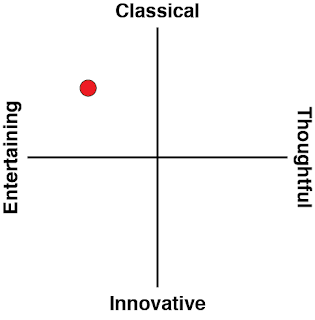 From the time I’ve played the game I’ve felt the balance is pretty good overall. In multiplayer I didn’t see any particular character show up with a frequency that told me they were broken. Certainly I had trouble with some characters more than others, but then I was principally playing healer or assassin characters. There’s always going to be some opponents that hit just too hard for those kinds of heroes. Paladins’ level design also lets itself down somewhat. 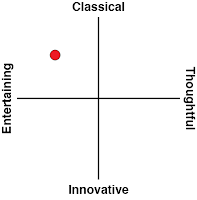 Levels looks nice enough in design, but they all tend to be very small, with a single point in the middle where both sides will continue to clash until one side is declared victor. Matches are short and furious as a result, but tactically limited. Winners are instead determined by which side makes better use of the skills available across the team in the grand brawl that takes place in the middle. There’s skill involved in that, don’t get me wrong, but one of the things I liked about Overwatch is how the more open nature of levels left the door open to strategic thinking and flanking. One feature that I did really love about Paladins (and the closest it comes to being substantially different to Overwatch) was the way you could customise your characters between battles. Each character has a “card” system, and players can take five cards into battle, ranging from modifiers to their health and movement, through to the effectiveness of specific skills. Players have a number of points that can be distributed across these cards, with more points boosting the impact of those cards yet further. The catch is that you’re limited in how many points that you can spend, so it would be possible to really boost your character’s health in exchange for not having many points left for improving your character’s active skills. There’s surprising depth to this system, and it allows even new players to wade into battle with a cleverly designed and powerful character. 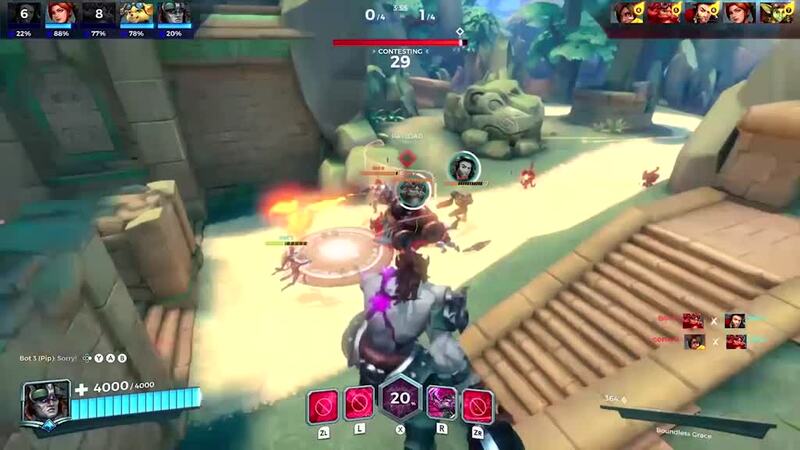 Paladins is a free to play game (or, at least, there is a F2P version coming to Switch), but it does a good job of making new players not feel left out. There’s a lot of costumes and the like to unlock, and characters do get more powerful as they level up, so there’s some incentive to keep on mastering your favourite, but even the lowest level player can come out on top if they get on a roll or know what they’re doing. While Paladins might be a largely no-frills Overwatch clone, to say that as a criticism would be unfair to it, because it really is incredibly competent. The action is fast, slick, and smooth. The netcode is solid and precise. It’s easy to follow the action and understand everything that is going on in the game. 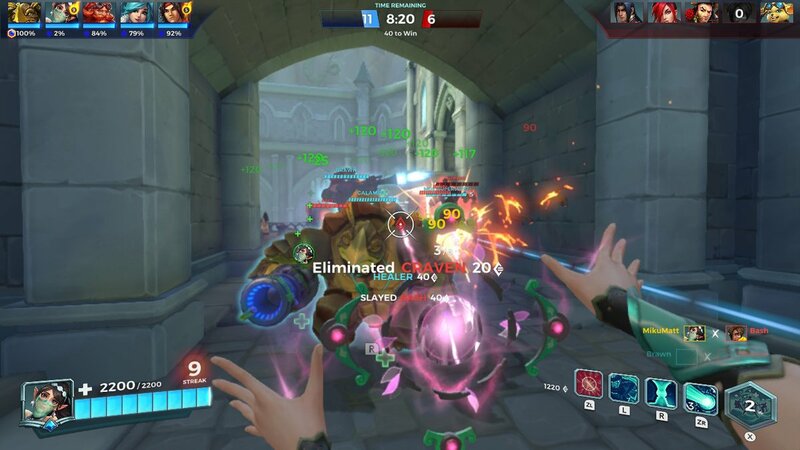 And – and this is a one of the most compelling features of all – Paladins brings Overwatch-like action to a handheld. Now you can play this kind of game on trains, in hotels, and in cafes, without having to lug around a heavy, expensive gaming laptop. I would have liked more context to the action, better realised characters, and more involved levels. And, of course, some kind of single player experience. 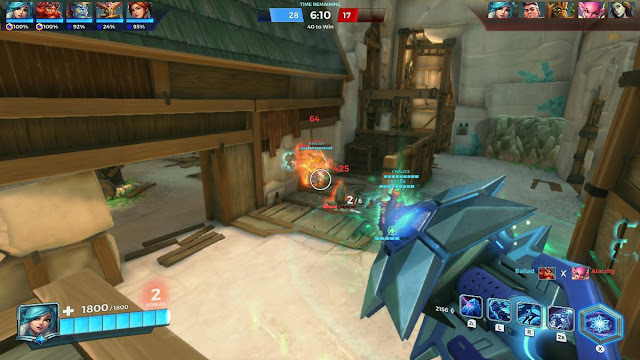 But, for what it is, as a no-frills Overwatch clone, Paladins gets the job done. It’s a game I’ll likely be playing for quite some time to come, because it certainly scratches a very specific itch.